Safety Tip: Always wear safety glasses when working on your vehicle. Wear other personal protective equipment (PPE) when necessary, for example latex gloves or closed toe shoes. WARNING: The dust created by the brake system is harmful to your health. Never blow it out with compressed air and do not inhale any of it. 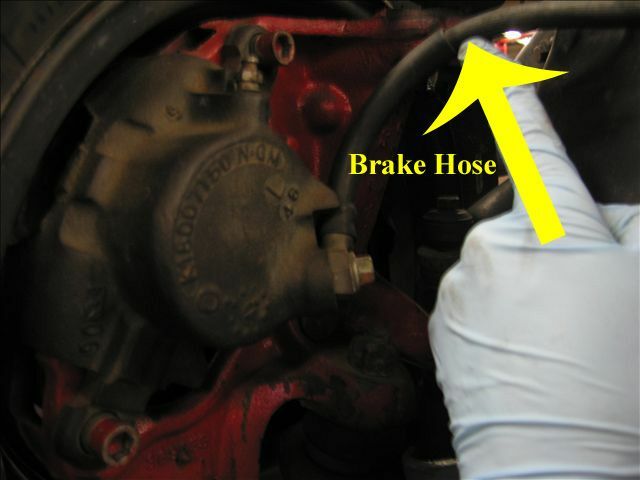 Use an approved filtering mask when working on the brakes. Use brake system cleaner only to clean brake parts. Try to use non-asbestos replacement parts whenever possible. Park your vehicle on a solid level surface. Set the parking brake and chock the rear wheels. Open the hood and check the brake fluid level in the master cylinder. If the fluid is full, siphon some of it out with a turkey baster. This will prevent the fluid from overflowing when the piston is pressed back into the caliper. 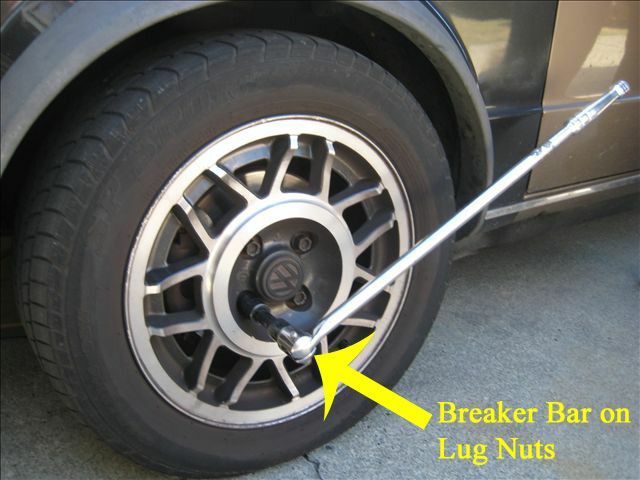 Using a breaker bar, loosen - but do not remove - the front wheel lug nuts. 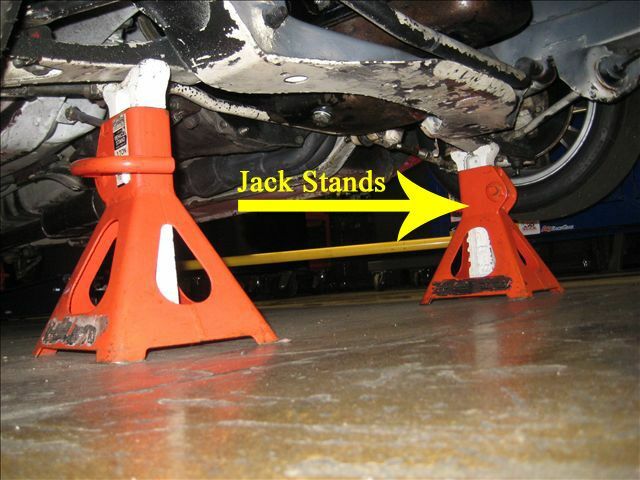 Raise the front of the vehicle and support it securely on jack stands. Make sure the front wheels are off the ground. Wash off the brake assembly to remove the dust using the brake spray cleaner. Catch the runoff using an oil drain pan. Check the brake rotor thickness at this time - replace the rotor if worn below minimum limits or if badly scored. Remove the brake caliper mounting bolts or pins. Remove the caliper assembly and support it with wire or length of rope. 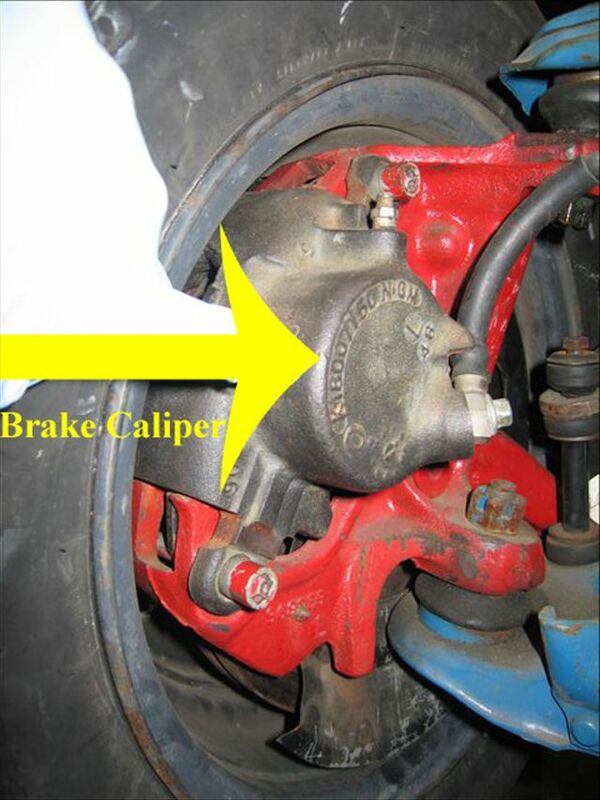 Do not allow the caliper to hang from the brake hose. 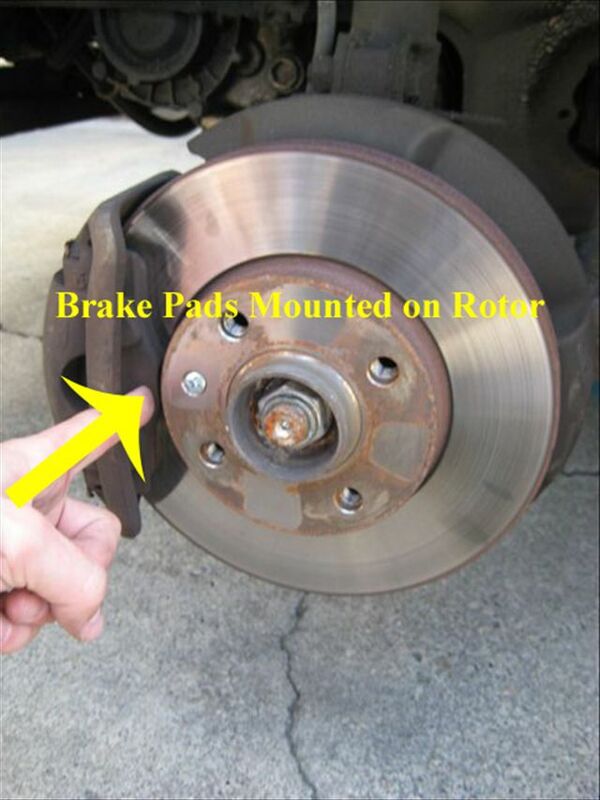 Remove the brake pads, lift out any anti-squeal shims that may be present. Press the caliper piston back into the housing. Use a brake pad spreader or c-clamp. The brake caliper piston must be retracted to allow for the new pads installation. If applicable, apply anti-squeal lubricant and install the shims on the new pads. Place the new pads into the caliper or mounting bracket. Inspect the brake hardware and caliper pins. Use a suitable, synthetic brake lubricant to properly lubricate the brake pins and guides. Install the caliper back onto the brake rotor and torque the caliper bolts to the manufacturer's specifications. Press the brake pedal to move the piston outward and seat the pads against the rotor. Repeat steps 5 through 11 for the other side. 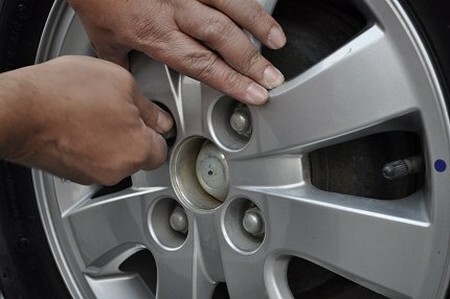 Install the wheels and torque the lug nuts to the manufacturer's specification in a star pattern. Remove jack stands and lower vehicle to the ground. 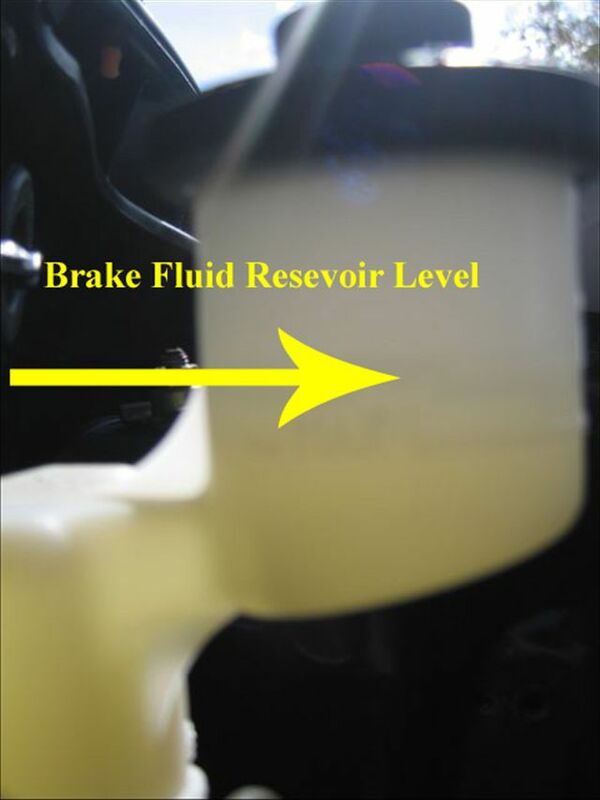 Check the brake fluid level in the master cylinder. Add fluid of the correct type if necessary. Verify that you have a solid brake pedal. Drive your vehicle up to 25mph and gently apply the brakes until the vehicle stops. Repeat the process several times to break-in the new pads.